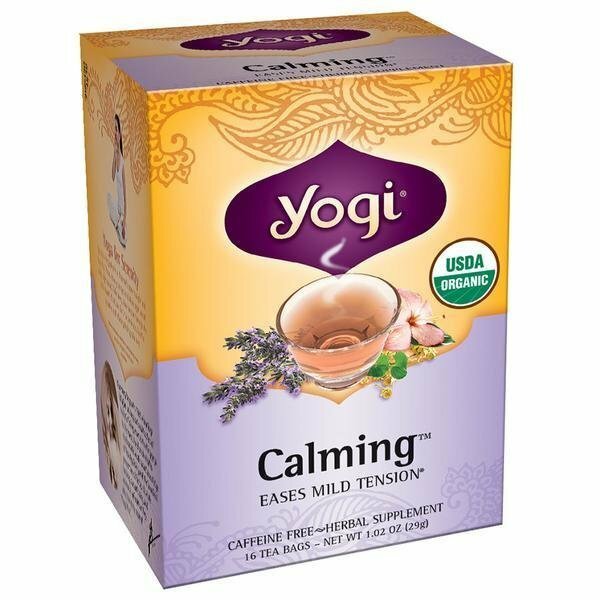 Calming Tea is an exclusive blend based on time-tested Ayurvedic herbs that can help soothe stress and tension, and encourage a state of relaxation. This organic tea combines chamomile—traditionally used for centuries to help compose the mind and relax the body. For best tea infusion, pour 8 oz boiling water over one Calming tea bag and steep for 5 to 10 minutes. For a stronger effect, use 2 tea bags. Squeeze each tea bag to fully release the active ingredients. Drink as needed to relieve stress. As an alternative, serve warm or chilled with fruit juice. Proprietary Blend of Herbs: Organic Chamomile Flower, Organic Licorice Root, Organic Gotu Kola Leaf, Organic Hibiscus Flower, Organic Fennel Seed, Organic Lemongrass, Organic Cardamom Seed, Organic Orange Peel, Organic Rose Hip, Organic Lavender Flower. Other Ingredients: Organic Barley Malt, Natural Plum Flavor.